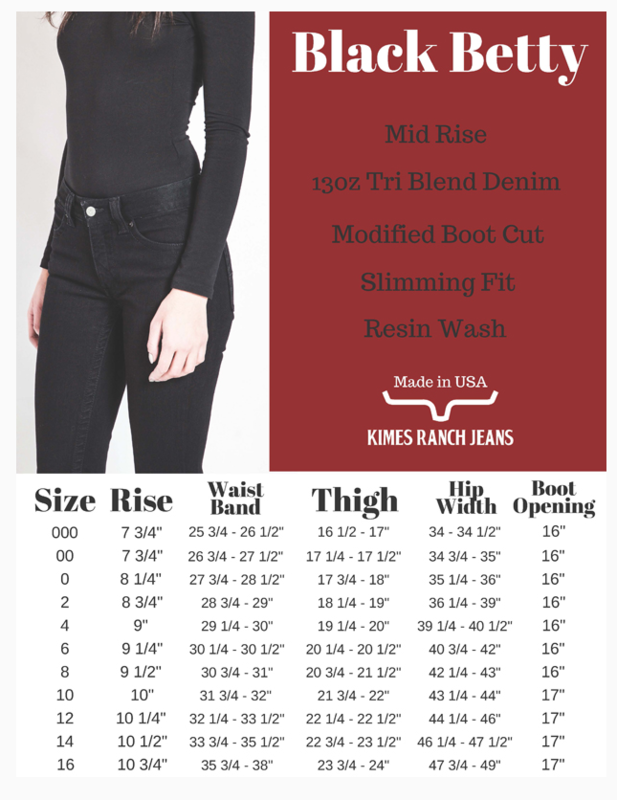 The Black Betty is mid rise, fitted thigh, modest boot cut and has a resin wash. Fabric: 69% Cotton, 29% Poly, 2% Elastine, 11oz. Inseams: 32" 34” 36" 38"